A little over four months ago little Lindie Fern came into our lives expectedly unexpected. I was more prepared than ever for our sweet babe but not at all prepared for the babe that arrived. 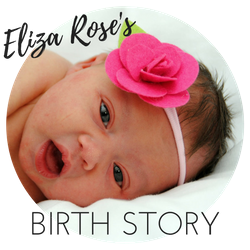 She was born on March 4, 2017 with a birth diagnosis of Down syndrome. 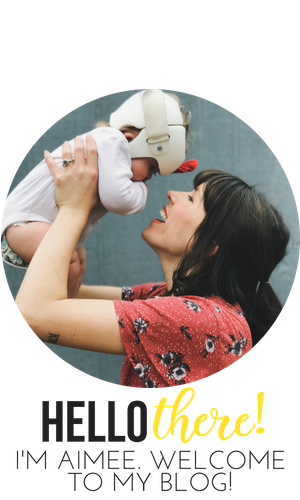 At thirty years old and not a bit worried about things that were unlikely to happen, I hadn't even considered the thought of having a child with Down syndrome. I remember years ago listening to a story told by one of my dear friends of the day their parents birthed their son to a birth diagnosis of Down syndrome and my heart couldn't believe the difficulty of getting that news in that way. I couldn't imagine bearing that weight, being overwhelmed with that kind of sorrow. It seemed an impossible day to bear. And there I was on Lindie's birthday bearing it. Recently the DSDN shared a blog post I wrote shortly after returning home from Lindie's 35 day NICU stay. She was a little over a month and a half old and had officially been home from the hospital a little over a week. Rereading the words I wrote just a few months ago was painful, yet freeing. It was painful to read the words of a mother still in the thick of her grief- a mother who so needed to be reminded minute by minute in those early days that it was going to be okay and life would surely go on and (can you imagine it!) be joyous again. (Thank you to all those in those early days who spoke truth to me). But it was also freeing to read the words I had written such a short time ago to see how much has changed- how the Lord has softened my heart toward my daughter, how I can go long periods of the day now without even thinking about Down syndrome, how I can snuggle and kiss my daughter and tell her I love her and truly mean it and how our lives (just a short while later) do feel joyous again. (Although, don't get me wrong- I'm still doing daily life with a threenager and a newborn! It doesn't always *feel* joyous). So much has happened. Yes, she has grown and is developing more into the little girl she was born to be, but so much more has happened at the root of things. In my heart. In our families hearts. In my capacity of what I can handle in a given day. In what I see when I look at Lindie. In how Chris and I care for each other. In how we think about our future, Eliza's future and Lindie's future. One of the biggest things that has happened in my life is Lindie has exposed my need for Jesus because despite how decent of a human being I thought I was before Lindie was born, despite how kind and accepting I thought I was of all people, despite how much I encouraged others and myself to love like Jesus loves, when it came down to it on the day Lindie was born I still struggled to accept her. My own daughter. My own flesh and blood. And I know why. Because I'm human. Because I'm flawed. Because no matter how good I think I am or try to be, I still need Jesus. And Lindie has reminded me of that. 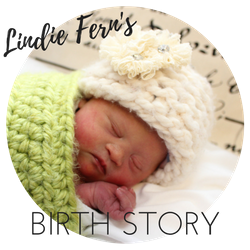 So much has happened in such a short amount of time- in our hearts and in Lindie's development- it excites me to think all the Lord will do in the course of Lindie Fern's lifetime. So many people early on told Chris and I how fortunate she was to be born to parents like us. But now when I look at my baby girl I can't help but think it is the other way around- how fortunate we are that the Lord put Lindie Fern in our lives and that we get to serve her by being her parents. Don't get me wrong- there are still a lot of things that are hard and I wish were not the case, but despite all those things I am so thankful for her. She really is a gift. Also, check out her four month update HERE!